Type 1 ATS: The more frequent type. Autosomal dominant. Involves KCNJ2 gene mutations. Type 2 ATS: There are no mutations involving the KCNJ2 gene. mandibular hypoplasia (micrognathia), hypertelorism, clinodactyly, syndcatyly. 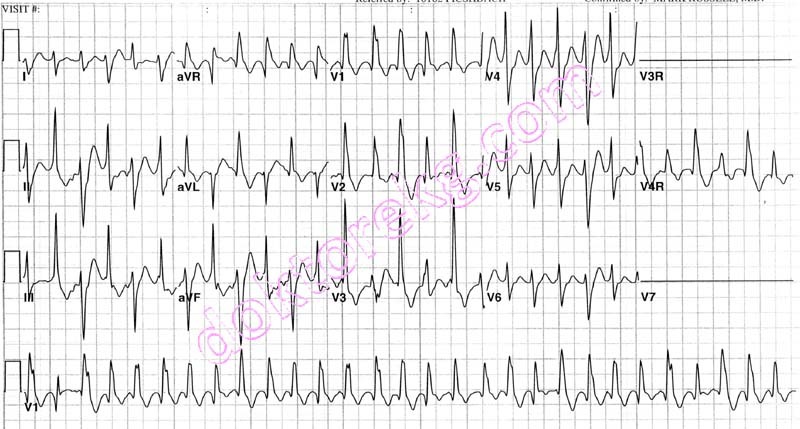 Abnormally prominent U waves may be observed in chest leads. QT interval prolongation have been reported. This observation may actually be due to measurement of the QU interval instead of the QT interval. 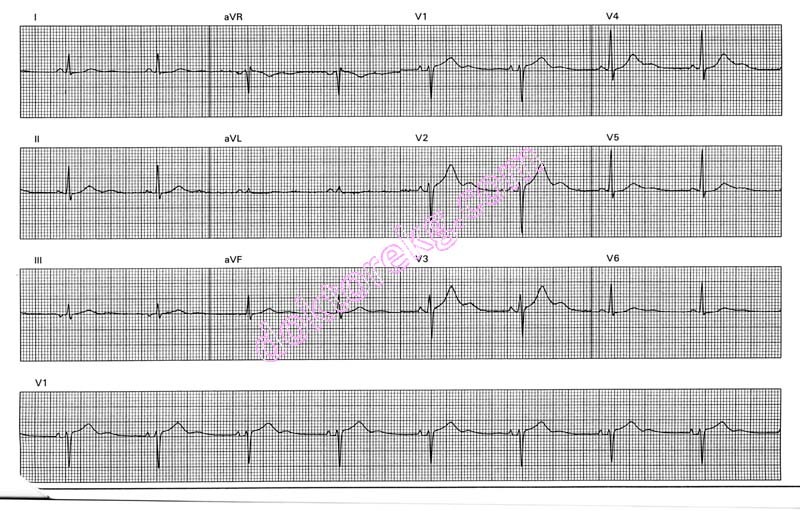 polymorphic ventricular tachycardia (VT), bidirectional VT may be observed. Less frequently, Torsades de Pointes may also be observed. that may result in bidirectional VT.
International Journal of Cardiology 2011;148:e13-e15. The ECG above, has been donated by Dr. Woody Benson. ECG 1b. 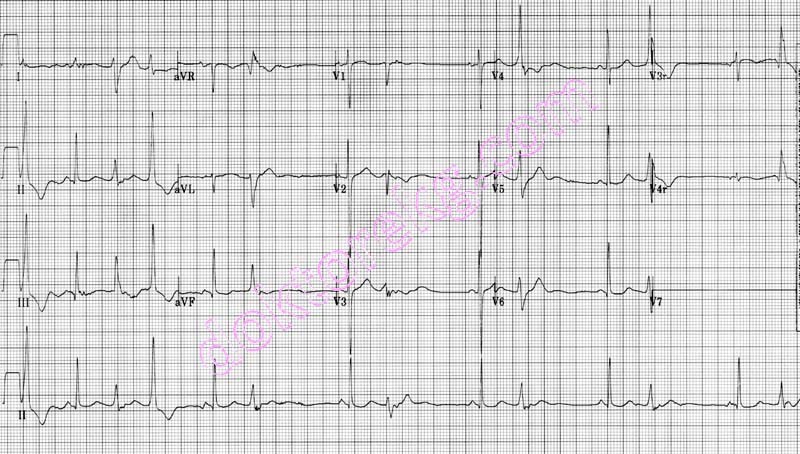 Above is the ECG of the same patient during bidirectional ventricular tachycardia (VT). 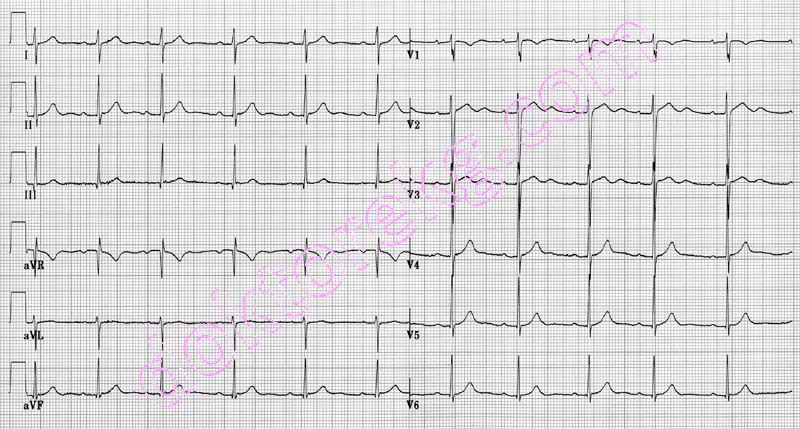 ECG 1c. 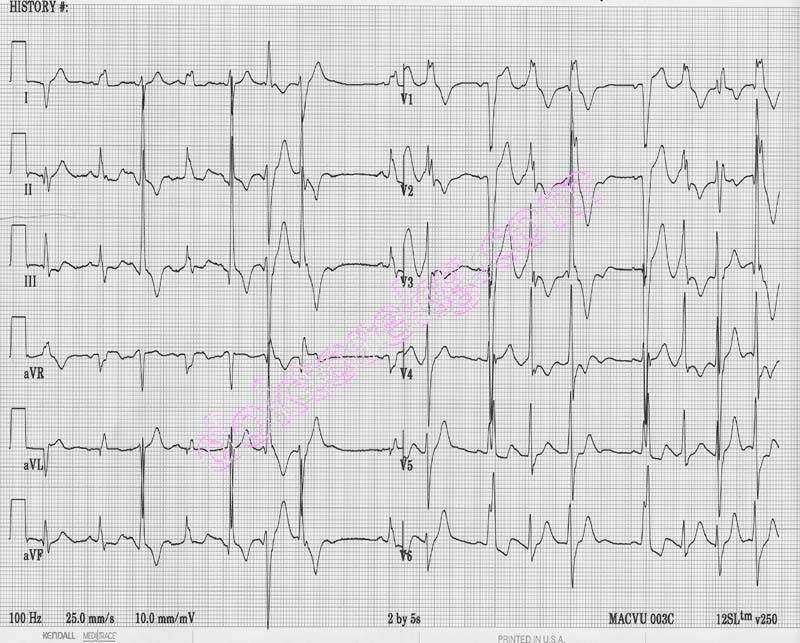 Above is the ECG of the same patient depicting polymorphic ventricular premature contractions (VPCs).